The Gift Box Punch Board is an ordinary-looking piece of plastic that gives you extraordinary results. You have to see it in action to see how easy and fun it is to make beautiful boxes! Learn how to make custom gift boxes in the sizes and colors you want. 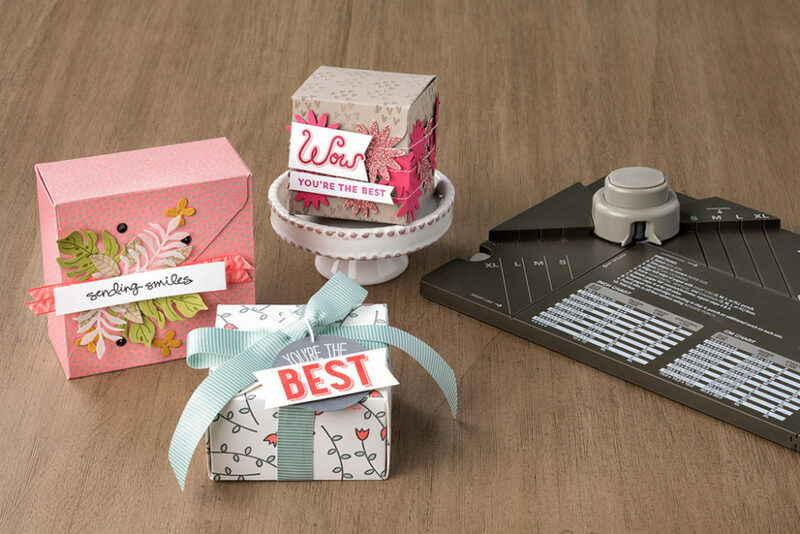 All you need is cardstock and a Gift Box Punch Board and you can make boxes up to 4″ tall in minutes. DO NOT FORGET THAT RETIRING IN COLORS GO FAST!!!! This occasions catalog bundle is great for showing off several unique looks with one set of dies. 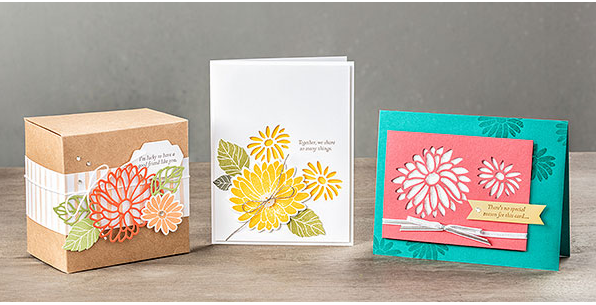 Use the dies to create layering pieces or to make one image that allows the paper underneath to peek through. 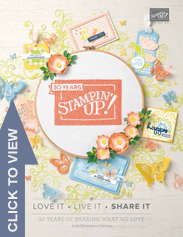 Save 10% when they buy the Special Reason Stamp Set and Stylish Stems Framelits Dies together! Stampin’ Up! 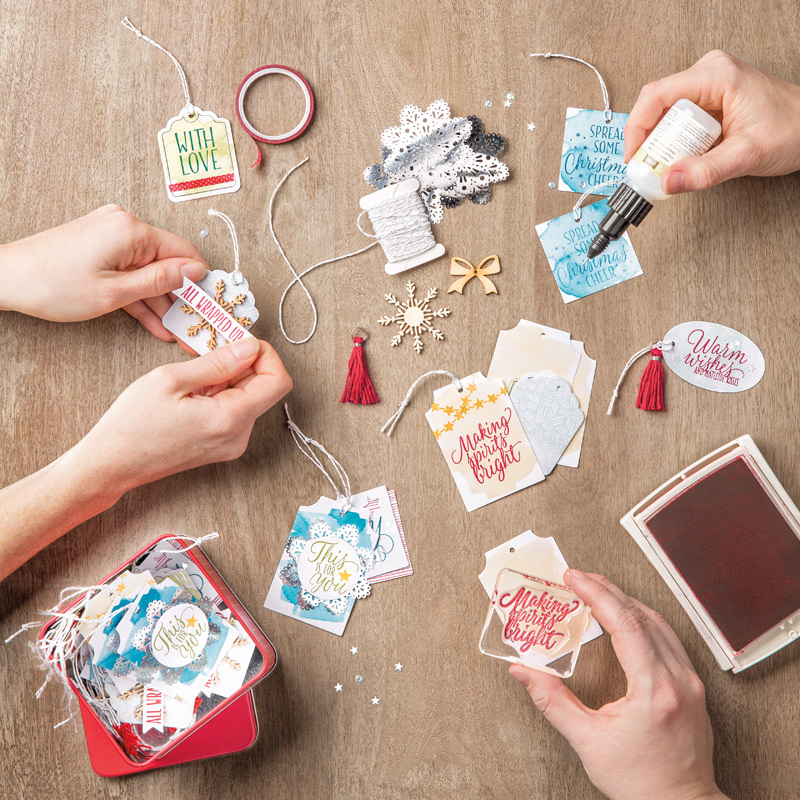 trainer Holly discusses the many ways to use the Stylish Stems Framelits Dies and Special Reasons Stamp Set from the 2017 occasions (spring/summer) catalog. Be sure and check out the video …you won’t be able to view it in the email but on my blog. Do you need some quick, fabulous gift ideas for their friends and family this Christmas. This project kit is the answer. It makes a fun gift as is, or give it with the tags completed! The 30 tags (3 each of 10 designs) take an hour or less to complete and come in an adorable storage tin. If you would like to place an order for this or anything by using hostess code: U9BKPESC We just need a few more orders to reach $150 for a show order! 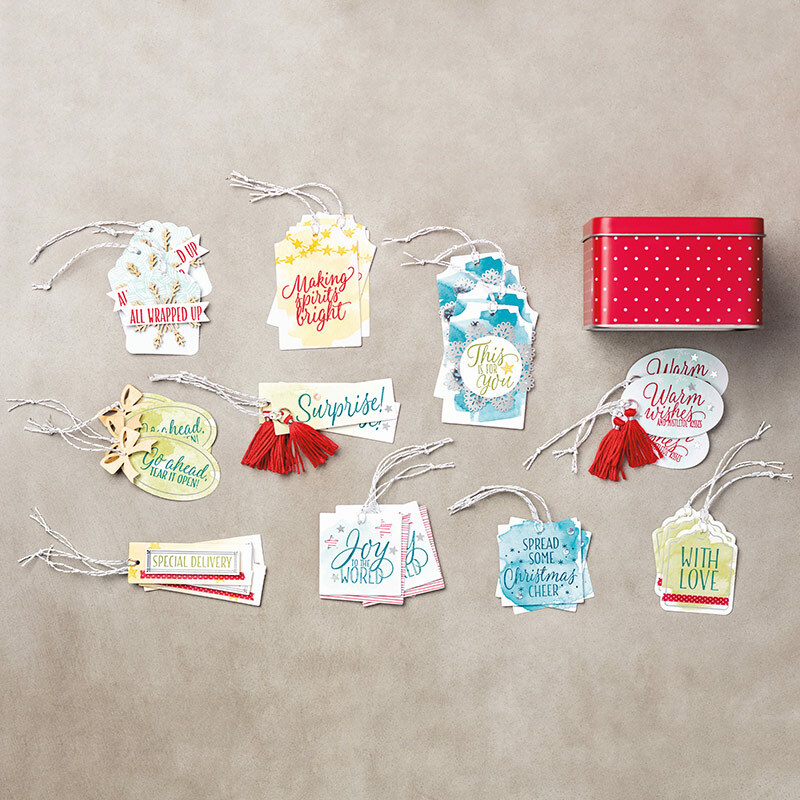 Tags are a must-have for gift-giving and treat-taking. 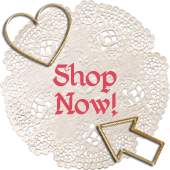 Add your own personal touch with handmade tags you make in minutes. Kit includes enough supplies for 30 tags, 3 each of 10 designs. 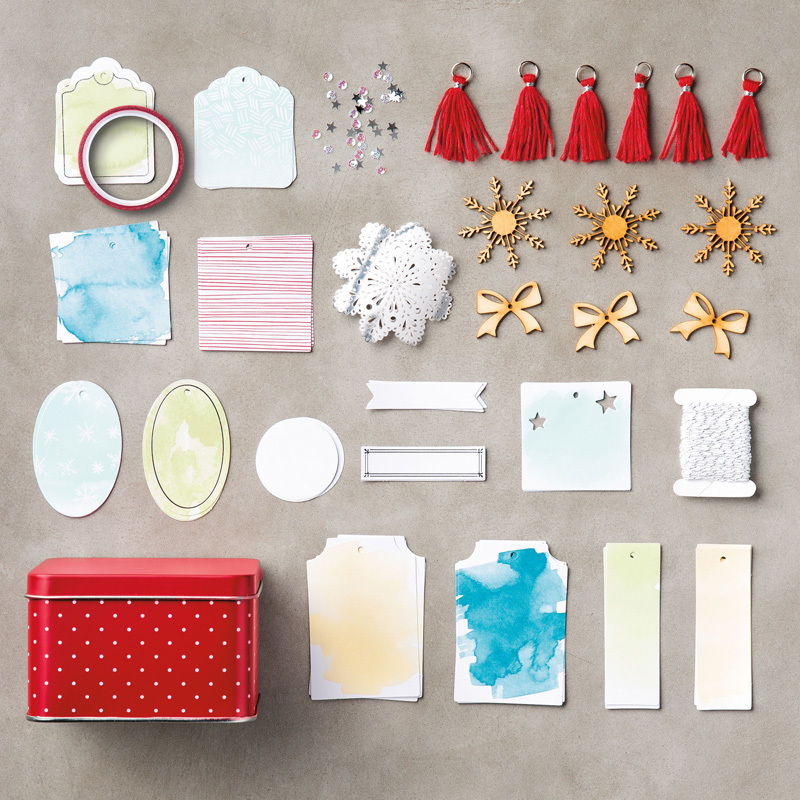 Complete the kit using the Tin of Tags Stamp Set (item 142180). Stamps, ink, and adhesive sold separately. Instructions included. Everybody needs a quick option for wrapping Christmas goodies and gifts this time of year, so you’ll want to stock up on the Gusseted Cellophane Bags (item 142001). Just pop a treat or gift into the bag and simply add a ribbon and tag to dress it up. These food-safe 6″ X 17″ (15.2 X 43.2 cm) bags come in packs of 25. This Christmas season you’ll see people sharing treats with their neighbors, coworkers, friends, and family. 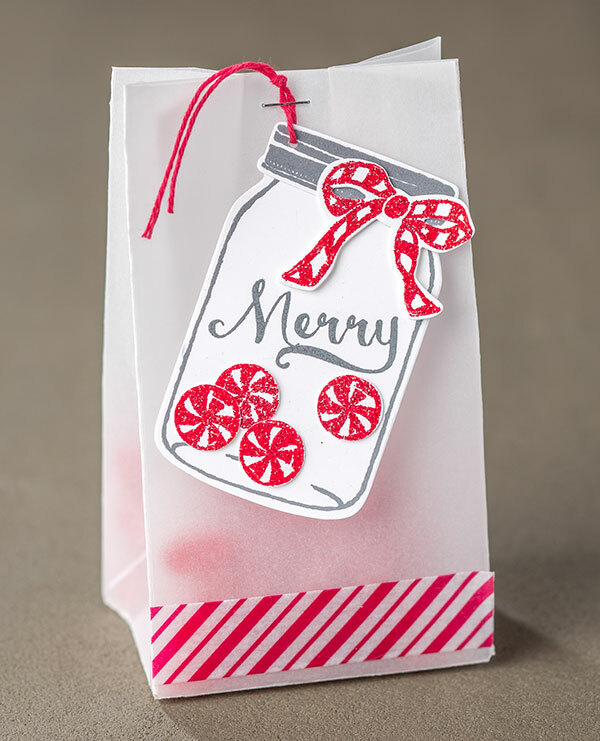 You can help them do it in style by showing them some festive projects like this Candy Cane bag! When the package looks this cute, it doesn’t even matter what’s inside. 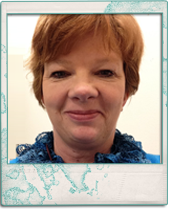 Keep Checking back…it is time for another blog give away. Check each day and be prepared to win! 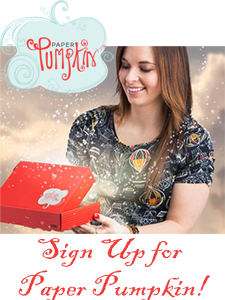 Whether you’re planning for Thanksgiving, Halloween, or just autumn in general, Paper Pumpkin has you covered with Something Good to Eat! Fill up those trendy treat tubes and dress them up for any occasion. The designs and stamps are flexible for all your fall festivities! 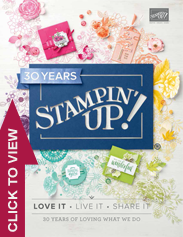 Donna Griffiths, Stampin’ Up! trainer, shows you how to create custom-sized boxes using Designer Series Paper. I love this video…even with the MATH involved what a fun time! Visit my site and watch the video! Have questions contact me!